This recipe is my latest exploration into the world of starchy vegetable side dishes. I made this dish for Thanksgiving dinner with my dear friends B and D. I was thrilled to be spending Thanksgiving day with them for a number of reasons, but especially because I got to spend time with their new baby girl. Even though we spent plenty of time oohing and ahing over their sweet newborn, we managed to pump out a pretty fantastic dinner: bison stew, collards with smoked turkey, this parsnip-apple mash, and a gluten-free honey-sweetened pumpkin pie. It was a beautiful meal, made even more wonderful by the wonderful company. The flavor of this dish is striking. 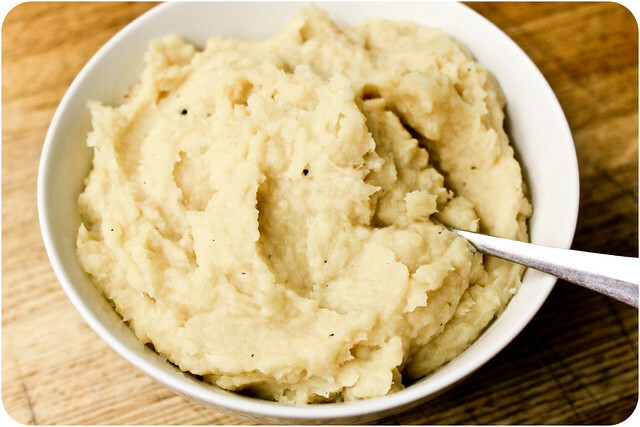 It is sweet and nutty, with a rich texture that will surely win over any mashed potato lover. I had to squeak in this recipe before the end of the month, since this month's SOS Kitchen Challengefeatures none other than the lovely parsnip. 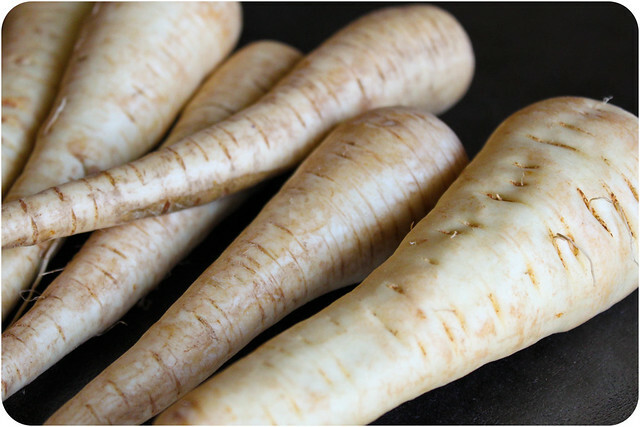 Check out this month's challenge kick off for a full list of parsnip recipes, and if you're inspired, submit a recipe of your own! Wash and peel parsnips. Cut off thin end and chop into 1-inch pieces. Quarter larger part and remove woody core, then chop into 1-inch pieces. Peel apples, quarter and core, and chop into 1-inch pieces. Place in a 9-inch x 13-inch dish. Add pieces of butter or ghee to dish. Sprinkle with a few pinches of nutmeg, black pepper, and salt. Pour enough water into the dish to lightly cover the bottom of the dish, then place in the oven. Bake for about 45-50 minutes at 350º F, stirring after 30 minutes. Then turn up the heat to 425º F, and bake for an additional 20-25 minutes, until most of the liquid has evaporated and parsnips and apples begin to brown and caramelize. 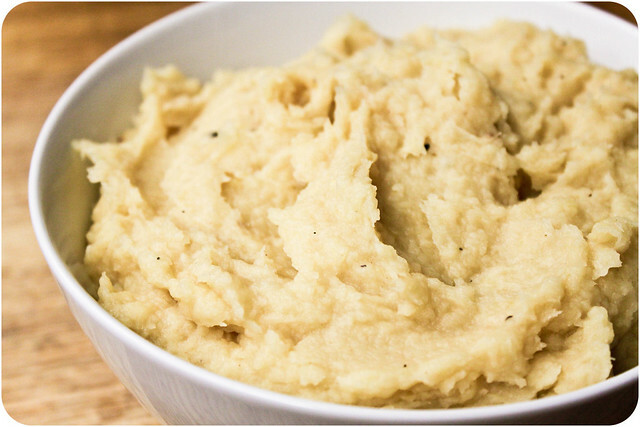 Remove from oven and place parsnips and apples in a food processor or a blender. Process until smooth, adding enough water or broth to get the mixture moving and to reach desired consistency. Adjust seasoning to taste, and serve. Newer PostCan you beet my new forearm tattoo?